Better Together 2018 from 309 Productions on Vimeo. "The MSD Show was a fantastic way to meet with customers and MSD/First Choice personnel. I learned so much, and was hopefully also able to share back with others more about our company. It was definitely a worthwhile investment, and will continue to recommend that we attend every year!" "The 2017 MSD Future Forward Conference was exceptional and met my expectations. The speakers and events were extremely informative with the Pitch Tank being the most fun – I look forward to attending the 2018 Better Together Conference." President and CEO, BioScrip, Inc.
Joint Appointment, Wharton School and School of Medicine, University of Pennsylvania. Founding Chair, Clinical Center of the National Institutes of Health. Former Special Advisor on health policy, Office of Management and Budget. Dr. Ezekiel Emanuel is one of the leading practitioners shaping the future of healthcare with a long record of experience at the top levels of policy. He is an engaging, incisive, forthright, and witty speaker on healthcare reform and the transformation of American medicine. Trained both as an oncologist (MD, Harvard Medical School) and a political scientist, Dr. Emanuel offers a uniquely thoughtful perspective on the most difficult issues in healthcare today. Prescription for the Future: The Twelve Transformational Habits of Highly Effective Medical Care. Dr. Emanuel looks to the future to describe how the best healthcare in the U.S. will be achieved in coming years. 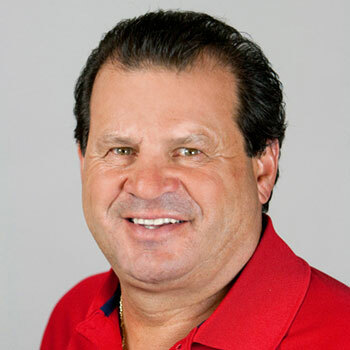 A native of Winthrop, Massachusetts, Mike was a well-known sports talent; excelling as an All-Scholastic in baseball, football, and hockey. While attending Boston University, Mike captained the hockey team his senior year and finished his college career as the third-leading scorer in B.U. history. The years Mike played at B.U. his team won 4 Eastern Collegiate championships. Mike was voted the Best Defensive Forward in the Eastern Collegiate Conference and eventually was inducted into the Boston University Athletic Hall of Fame. Mike played on 2 U.S. National Teams and played 2 years with the Toledo Goaldiggers of the International Hockey League. The IHL named Mike the McKenzie Award winner as the outstanding American-born player in the IHL. The following year, Mike was chosen to join the 1980 Olympic team. He was honored by being elected captain by his teammates. After the victory in Lake Placid, Mike spent several years in New York and New Jersey as a sports commentator for Madison Square Garden. In 1984, Mike joined ABC and was a broadcaster for the Winter Olympics in Sarajevo, the Summer Olympics in Los Angeles, and the 1988 Winter Olympics in Calgary. In 1992, Mike did broadcasting for CBS in Albertville, France, and in Lillehammer, Norway, during the 1994 Olympic Games. For the past several years, Mike has traveled throughout the country representing major corporations as their spokesperson and/or motivational speaker. Mike is currently employed by Boston University as Director of Special Outreach. Mike resides in his hometown of Winthrop, Massachusetts, with his wife, 3 adult children, and 2 grandchildren. He continues to be actively involved with fundraising events for the U.S. Olympic Committee, as well as several charitable organizations, including Winthrop Charities. 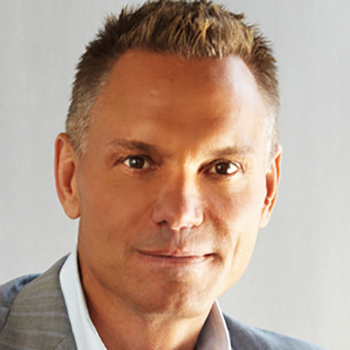 Kevin Harrington has been a successful entrepreneur over the last 40 years. He is an Original Shark on the ABC hit, Emmy-winning TV show, ‟Shark Tank.” He is also the ‟Inventor of the Infomercial,” ‟As Seen On TV” pioneer, co-founder of the Electronic Retailers Association (ERA), and co-founder of the Entrepreneurs’ Organization (EO). Kevin has launched over 20 businesses that have grown to over $100 million in sales each, has been involved in more than a dozen public companies, and has launched over 500 products generating more than $5 billion in sales worldwide, with iconic brands and celebrities such as Jack Lalanne, Tony Little, George Foreman, and the new I-Grow hair restoration product on QVC. Kevin has extensive experience in business all over the world, opening distribution outlets in over 100 countries worldwide. He currently operates a private consulting firm where he works with companies to increase distribution; analyze electronic retailing opportunities; effectively market on digital, social media, TV, radio, or print; source manufacturing; and has been able to exponentially increase the stock price of several public companies. In today’s competitive world, companies cannot operate the way they have in the past because of the advancements in technology and the digital marketplace. Kevin provides the advice and expertise on how to navigate constantly changing distribution and marketing outlets. Dr. Javeed Siddiqui is the co-founder and Chief Medical Officer for TeleMed2U, a 100% telemedicine-based, multi-specialty clinical practice. Dr. Siddiqui has been actively involved in telemedicine since 2002 and has been recognized as a national thought leader in the field. Dr. Siddiqui served as the Medical Director of one the nation’s top telemedicine programs at the University of California, Davis. In addition to being an Infectious Diseases physician, Dr. Siddiqui is a recognized medical technologist who has previously held an appoint at the School of Engineering, University of California, Berkeley and served as the first Medical Director of California’s Institute for Science and Innovation, The Center for Information Technology Research in the Interest of Society (CITRIS). Dr. Siddiqui co-founded TeleMed2U in 2011. TeleMed2U has pioneered work in developing and implementing telemedicine services and programs to hospitals and outpatient clinics. In 2012, the Agency for Healthcare Research and Quality recognized the telemedicine-based, anti-microbial stewardship program developed by TeleMed2U as an innovative program in healthcare. 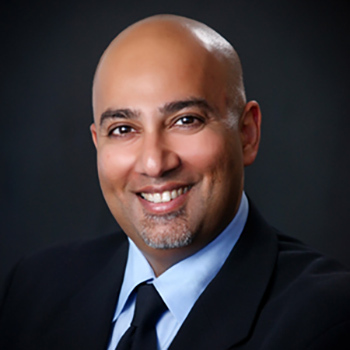 Dr. Siddiqui has lectured nationally and internationally on telemedicine and serves as an advisor and board member to a number of telemedicine and healthcare technology companies. Tom Burke joined MSD in July of 2016 as Chief Executive Officer. 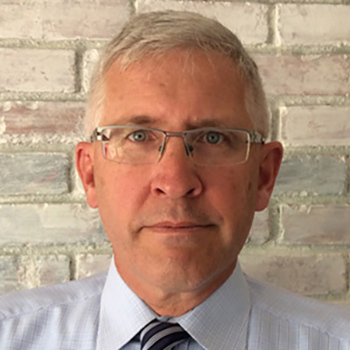 His career spans more than 35 years in the distribution and healthcare industry with extensive functional experience in sales management, operations, and employee development. 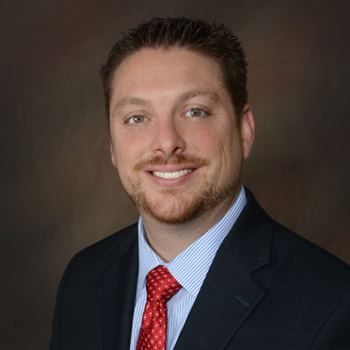 Most recently at Cardinal Health as the SVP/GM of Innovative Delivery Solutions, Mr. Burke was responsible for developing and overseeing the strategy and execution for the acute care pharmacy solution business as well as the acute solutions companies. 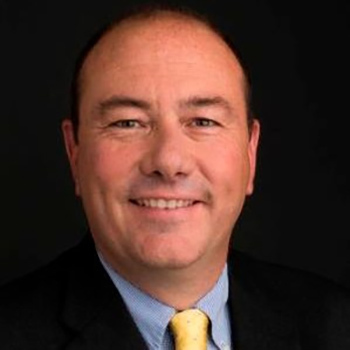 Prior to his role in Specialty Solutions, Mr. Burke was the SVP/GM of the Cardinal Health Specialty distribution business and also the Chief Executive Officer of Novis Pharmaceuticals, a blood plasma derivative distributor. Burke has served in a series of executive leadership roles where he oversaw integrated solutions; pharmaceutical distribution; medical products and services; and general management for a number of divisions and regions at Cardinal Health. Mr. Burke studied Business Administration at Salem State University (formerly Salem State College) in Salem, MA. Doug Kelly is the President and CEO of Make-A-Wish Ohio, Kentucky & Indiana (OKI), the largest of the 62 Make-A-Wish chapters in the country, granting more than 850 wishes each year to children with life-threatening medical conditions. As President, Doug is responsible for the organization’s vision, capital, talent, and growth strategies. He works with OKI’s 3 Vice Presidents (Development, Program, and Operations) to ensure strong daily and long-term execution. 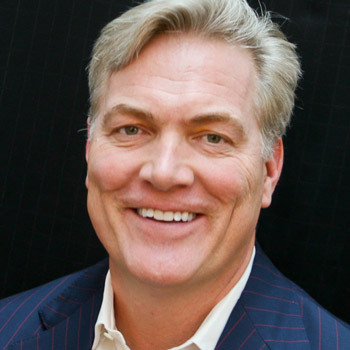 Prior to joining Make-A-Wish, Doug was the co-founder of a strategic consulting firm called Big Change Strategies that helped good leaders build stronger, higher-impact organizations through comprehensive assessments, strategic planning, stakeholder engagement, and building robust revenue streams. He was involved in the political sector for nearly 20 years, building election infrastructure involving research and technology. Doug graduated from Harvard University and lives in Columbus, Ohio, with his wife, Linda, and 2 children, Jack and Rachel. Keith Crawford serves as the EVP of Infusion Operations and Chief Strategy Officer and has over 20 years of experience in a number of healthcare sectors. Prior to joining MSD, Keith served as the EVP, General Manager of Preferred Homecare, the industry’s leading regional infusion platform in the western U.S. Prior to Preferred Homecare, Keith served as the EVP, Corporate Strategy at Coram Healthcare, where he helped accelerate EBITDA growth and the sale of the company to CVS/Caremark. Council Member and Speaker for the HealthTec Research Alliance. Member since 2012 with a focus on patient engagement, care coordination/transitions, and patient-reported outcomes. Architect and principle investigator of the Immunoglobulin, Diagnosis, Evaluation, and Key Learnings (IDEaL) Patient Registry Program, a first-of-kind patient engagement program using an iPad to track therapy compliance/persistency, untoward events, and health-related quality of life. Data was used to help pass the IVIG ACT, signed into law in 2013. Designed and implemented a store-and-forward telemedicine solution with the Department of Defense to treat and manage cellulitis and osteomyelitis. Designed and implemented an institutional to non-institutional care coordination and patient transition solution designed to improve discharge management, patient tracking, and patient outreach, and reduce episodic cost of care by reducing readmissions and unnecessary physician visits. Worked with IMS Health to develop a patient- and physician-level data capture point of care solution for specialty drugs in the home care setting. 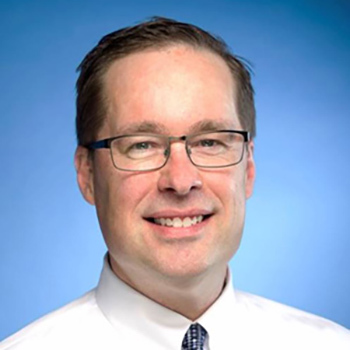 Keith also has a number of years of experience in the biotech sector, where he developed a number of clinical candidates directed at comorbidities associated with chronic kidney disease. Dr. Christos Cotsakos, Ph.D., is Founder, Chairman, and CEO of Pennington Ventures, LLC, a digital media and strategic management company. 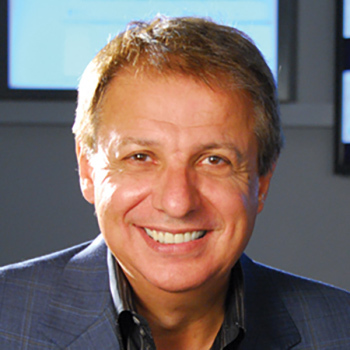 Dr. Cotsakos is an entrepreneur, business, and technology executive, military combat veteran, visiting professor and lecturer, venture capitalist and angel investor, executive management and board advisor, national best-selling author, and philanthropist. Formerly, Dr. Cotsakos served as Founding Chairman, CEO and President of EndPlay, Inc., a leading provider of SaaS Content Management, Engagement and Monetization solutions delivered in the cloud. In addition, Dr. Cotsakos served as Chairman and CEO of E*TRADE Group, Inc., where he led the company to pioneer the personal online investment market. He also served as global Co-CEO of ACNielsen, the global leader in market research, information, and analysis, where he expanded the company’s reach in Asia, Europe and Latin America and reinvigorated its brand and market position, re-constructed its technology and restored its global profitability. Dr. Cotsakos also served in several senior executive positions at Federal Express Corporation, a market leader in transportation, information and logistics solutions, where he was instrumental in developing several initiatives related to people, service, profit, and technology initiatives. He is considered to be one of the visionaries, architects, and entrepreneurs of e-commerce and e-finance. Dr. Cotsakos has served on the board of directors for numerous public, private, and non-profit companies and has been a founding member of multiple entrepreneurial ventures. William Paterson University named its business school the Cotsakos College of Business in honor of Dr. Cotsakos. Dr. Cotsakos holds a Ph.D. in Economics from the University of London. Betsy is a three-time CEO, serial entrepreneur, and founder of Baja Corporation. She has co-founded enterprise software companies in multiple industries including energy, healthcare, and networking. She is an expert at scaling companies through hyper growth and leading them to successful IPO and acquisitions. Some of her more notable transactions include the acquisition of Clear Standards by SAP and Ascend Communications ($5 billion in revenue), which was acquired by Lucent for $23 billion. At Baja Corporation, Betsy has built 3, early-stage funds and has made early investments in companies such as Yahoo, eBay, and Selectica. 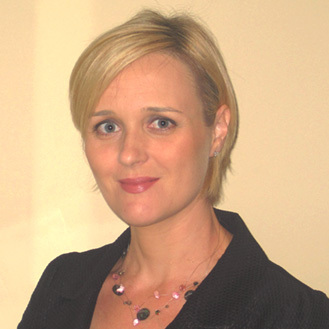 Betsy is a corporate governance expert with an eye for making boards a competitive asset. 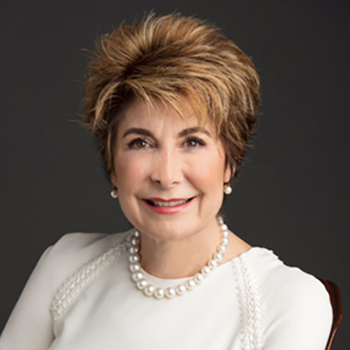 Her corporate board experience is vast and covers multiple industries including: technology, financial services, healthcare, retail, automotive, manufacturing, and logistics. As a corporate director, she brings an operational perspective that focuses on taking friction out of the consumer experience. She leverages her broad, contemporary knowledge of digital technology to reduce costs and drive efficiency and productivity using AI machine learning analytics to streamline processes. Previously, Betsy was the CEO of NCI, a food manufacturer creating Nutraceutical and Functional Food products. NCI created the PowerBar and healthy snacks for Kraft, Nabisco, etc. Betsy was also the CEO of Clear Standards, which developed enterprise-level software for monitoring carbon emissions. She currently serves on public company boards, including Cognizant, Home Depot Supply, SL Green Realty, and Schneider Electric. She is also a member on the Board Directors of Volvo Cars (private) and the SAP Advisory Board. She is a proud graduate of the University of Massachusetts, Amherst. Dan Greenleaf , President and CEO, BioScrip, Inc.
Dan Greenleaf has over 2 decades of relevant experience in senior leadership positions in the healthcare industry. He is currently serving as President and CEO of BioScrip, Inc., a leading national provider of infusion and home care management solutions. Dan also is serving as a member of BioScrip’s Board of Directors. Dan served as Chairman and CEO of Home Solutions, a leading provider of home infusion services to patients suffering from chronic and acute medical conditions, from December of 2013 to September of 2016, when Home Solutions was acquired by BioScrip. Previously, he served as President and CEO of Coram Specialty Infusion Services, as well as Chief Operating Officer for Apria Healthcare Group Inc. He joined Apria/Coram in April of 2008 and led Coram to become the industry leader in home infusion and one of the top-performing healthcare companies in the U.S. Under his leadership, Coram grew its revenue organically from $600 million to $1.2 billion (12.5% CAGR); its earnings improved from 4.7% to 13.3% (an increase of more than 250%) and the valuation of the company increased from $350 million to $2.1 billion. Prior to joining Apria/Coram, Dan served as President and Chief Executive Officer for VioQuest Pharmaceuticals, a publicly traded biopharmaceutical company. Additionally, Dan was the President of U.S. Operations for Celltech Biopharmaceuticals, prior to its sale to UCB in 2004 for $2.7 billion. Dan also held senior leadership roles with Nabi Pharmaceuticals and Schering-Plough Corporation. Dan serves on the University of Miami's Health Sector Management and Policy Board, Denison University's Board of Advisors, Rotech Healthcare’s Board, Gryphon Investor's Executive Advisory Board (GEAB), Finished Basement Company’s Board of Directors, and he is a current board member for the National Home Infusion Association (NHIA). He has also been a member of the international group, Young President's Organization (YPO), since 2004. Additionally, he was a guest lecturer on leadership at Wharton School of the University of Pennsylvania and University of Miami School of Business Administration. A graduate of Denison University with a Bachelor of Arts (B.A.) in Economics, Dan also holds a Master of Business Administration (M.B.A.) in Health Administration from the University of Miami. A military veteran, Dan was a captain and navigator in the United States Air Force and served in Operation Desert Storm. 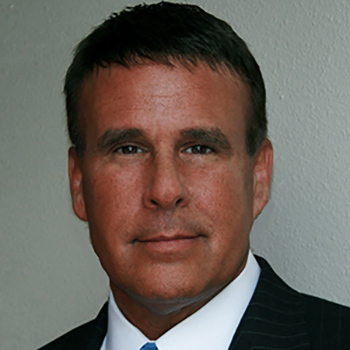 Mr. Metzger is a veteran of more than 30 years in the telecommunications and healthcare industries. He is currently a member of the RAND Corporation’s Board of Health Advisors, and advises several companies and investors in healthcare technology, clinical service delivery, and medical devices. Mr. Metzger was most recently CEO of Virtual Telephone and Telegraph (VT&T) and Managing Director of AngelWorks, a philanthropic foundation focused on funding cancer research. He is currently involved with Healthcare technology start-ups and designing Telemedicine systems. Mr. Metzger has been part of several start-ups, including a fiber optics based telecommunications carrier, a LAN implementation company, and a telecommunications equipment and services company. He enjoyed executive positions in marketing, operations, sales, and general management with IBM, Fujitsu, AT&T, and Harris Corporation. In these positions, Mr. Metzger provided leadership to various divisions including hardware, software, and service offerings. Mr. Metzger has significant experience in advising and assisting in the management of various start-up and established businesses. He has served as a director of privately held and publicly traded companies and contributes to blogs and various sites. He advises Northbridge Growth Equity & Martin Ventures companies, and has assisted Warburg Pincus with due diligence and acquisition strategy. Mr. Metzger has served as Chairman of the Board of the Boys and Girls Clubs of Monterey County, California; as well as a National Trustee for the Boys and Girls Clubs of America, and Trustee for the Hockaday School of Dallas. Shepard (“Shep”) Bentley has over 32 years of experience working in the medical industry, and in January 2004 set up a full-service biomedical regulatory consultancy, Synergy Biomedical, LLC, that became ICF Biomedical, LLC in January 2005, and finally Bentley Biomedical Consulting, LLC in May 2006. 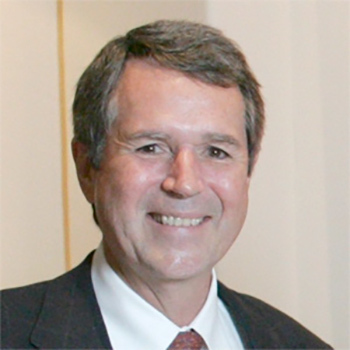 Since the establishment of his independent biomedical regulatory consultancy, Shep has been working closely with both large companies (Fortune 500) and small ventures around the world to facilitate their interaction with the FDA, and has drafted submissions applying various novel approaches to the portrayal of drug and device risks to users, patients, and clinicians. These submissions have produced competitive results for the companies that have engaged him, and he has been made the CEO on 2 occasions. He speaks at symposia and conferences, including the FDA Annual Meeting (Orange County Regulatory Affairs) and various biotech events around the world (Europe and Asia), as well as in San Diego County and Orange County. He is currently a consulting COO for 3 local biotech ventures, attends the Drug Information Association meetings, and speaks at Parenteral Drug Association events. He works with drug discovery, development, and distribution, performing FDA pre-audits and completing submissions. He is retained by various laboratories for essential compliance. Shep is an active member of the American Society for Quality - Biomedical Special Interest Group (ASQ), Regulatory Affairs Professional Society (RAPS), and The Organisation for Professional Regulatory Affairs (TOPRA). He also maintains the Regulatory Affairs Certification for U.S. medical regulation. Experienced health care, corporate, and transactional attorney dedicated to supporting a company’s strategic business goals through risk assessment, problem resolution, and standardization. Proven experience making difficult legal decisions, juggling challenging workloads, and managing in-house and outside counsel resources. Specialties: Fraud and abuse, Stark Law, HIPAA, Corporate Governance, M&A, Litigation Management, Professional licensing issues, Contracts, Compliance plans, State and Federal investigations, FDA and Board of Pharmacy regulations. Kendall Van Pool is the Vice President of Legislative Affairs at the National Home Infusion Association (NHIA), a trade association that represents and advances the interests of organizations that provide infusion and specialty pharmacy products and services to the entire spectrum of home-based patients. Kendall is a Washington D.C. veteran with 18 years of experience working on Capitol Hill and in various healthcare advocacy positions. As a Professional Staff member of the Senate Special Committee, he directed the Committee’s Medicaid and long-term care agenda. He also worked as a Legislative Assistant for Congresswoman Jennifer Dunn and Congressman George Nethercutt. In the private sector, he has advocated on behalf of several healthcare associated organizations including, the Blue Cross and Blue Shield Association, American Diabetes Association, and clients of the Bockorny Group. Michelle L. Templin is Vice President of Legislative Affairs and Business Development for Managed Health Care Associates, Inc. (MHA). In this capacity, Michelle oversees all the legislative and grass roots advocacy work that touches MHA’s diverse post-acute care (PAC) membership including: long term care (LTC), home infusion and specialty pharmacies, DME and respiratory providers, and skilled nursing, assisted living, and rehabilitation facilities. Her team helps PAC providers navigate the legislative landscape to identify, analyze, and advocate on the issues that matter most to their business. Additionally, Michelle has led the strategy and management of the MHA ACO Network since its formation in 2013. Working with ACOs, Medicare Advantage Plans, and other payers, the MHA ACO Network assists in defining local Payer/PAC engagement strategies and analyzes the value of appropriate PAC utilization across the care continuum. Michelle received her undergraduate degree from Temple University with a focus on International Business Administration and Strategic Management and holds an MBA from Pepperdine University. Marie Garcia is the Director of Clinical Services for Virginia Cancer Specialists, PC for all 8 sites of services. Her direct reports and clinical operations oversight includes Nursing, Medical Assistants, Research, Lab, Pharmacy, Bone Marrow Transplant Program, Genetic Program, Advance Care Planning Program, and Nurse Practitioners. In her career, Marie has held the designation of Clinical Coordinator for Oncology Research in a private practice, where she was responsible for conducting drug trials in accordance with FDA regulations and good clinical practice. In addition, her experience includes being responsible for establishing all new research protocols from initiation to closure, including regulatory documentation, source documentation, budget negotiation, protocol development, SOP development, screening, and consenting patients. Marie currently is a National Presenter/Speaker/Expert for the Association of Community Cancer Centers (ACCC) and serves on the following national committees: Clinical Products Committee for the Clinical Advisory Council for US Oncology/McKesson Specialty Health; National Executive Committee for the Clinical Advisory Board of McKesson Specialty Health; and National Executive Committee for McKesson Specialty Health’s Genetic Risk Evaluation, Assessment and Treatment. Join us at this iconic luxury hotel as we work together toward a better future for the post-acute space. 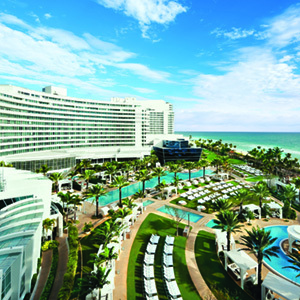 Situated directly on Miami Beach, you’ll be just steps away from the ocean throughout the conference. For your comfort and enjoyment, the resort features complimentary Wi-Fi in your room and at any of the six oceanfront pools, a state-of-the-art fitness center, nine award-winning restaurants, and a world-class health spa. It's that time of year again, and we are busy preparing for our annual Healthcare Innovation & Technology Conference, which will take place January 22 – 26, 2018, at the iconic Fontainebleau Hotel in Miami, Florida. This year’s theme is “Better Together,” and our healthcare industry is just that—better together! By embracing and supporting each other, and collaborating with forward-thinking organizations and people from our industry who share the same vision, our journey to create the future of healthcare can succeed. I know that we truly are better together! See you in Miami! We make healthcare work better for our patients, families, communities, and one another.